Is hiring accounting services Singapore for small businesses a superfluous expenditure? From the small business owners’ perspective, doing their business’ accounts on their own can save them a few dollars. However, the question is, “Is it a really profitable adventure.” An inadvertent mistake in the accounts, leading to the business being flagged by the ACRA (Accounting and Corporate Regulatory Authority) for breaching the laws is not at all good for any startup or small business. However, an accounting firm in Singapore will let you stay compliant through its expertise-driven services. The startup or Small and Medium Enterprises (SMEs), may it be one-man-show or helmed by the owner with a proper support staff, can do without getting tangled with the Singapore authorities. They have their plates full, without being further burdened by a bugling family member or an amateur accountant determined to mess with their accounting books. On close introspection, hiring one of the top accounting services Singapore like, SBS Consulting will stand out as a great prospect. Accounting for small businesses has never been easy. More often than not, the owners of these businesses are juggling multiple tasks at a time. Time is one commodity they are short of and most of them cannot invest in a full-time accountant. However, at a fraction of the costs that they would need to invest in a trained accountant, they can retain an experienced and professional accounting service in Singapore. SBS Consulting employs experienced and certified accountants to deliver effective accounting services to its clients. Under its accounting services for small businesses, the firm offers efficient bookkeeping services. For any small, medium or big, multinational business, maintaining its books of accounts in proper order is of utmost importance. Not many businesses understand the need of professional bookkeeping service solutions. It is worth noting that a professional bookkeeper takes half of time of an amateur to get all bookkeeping tasks done. When you outsource to a trained accounting firm, you save your precious time to focus on core activities of the business to generate more revenue. Many small business owners tend to think that bookkeeping is as easy as administrative task whereas that is not true. The calculations involved in it are really no business of novice. These tasks must be handed over to the professionals. When it is taken in relation to the strict rules and regulations and the control maintained by the ACRA on its corporate subjects, it is really worth to appoint one of the professional accounting services for small business that entails bookkeeping services in its package. 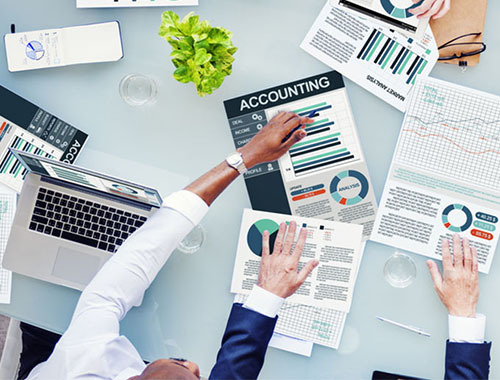 By outsourcing your accounting function to the third party accounting services, you can ensure that your accounts are cared for by the experienced and qualified professionals. You also do not have to invest money in implementing infrastructure and hire trained accountants. Even big companies benefit from this move, as it frees their staff which they could reassign to the core functions of the business.